A draft resolution was submitted to the US Senate, saying that the US condemns Russia's illegal attempts to occupy the Crimea, the Ukrainian embassy in the US reported on Facebook. “A bipartisan group of senators headed by Robert Menendez, co-Chairman of the US Senate Foreign Relations Committee, and Robert Portman, co-Chairman of the Senate Ukrainian Corps, introduced a draft resolution to the Senate that condemns the illegal attempts of the Russian Federation to occupy the Ukrainian Crimea,” reads the message. The document noted that the Crimea is part of the territory of Ukraine and the US policy "must consist in opposing attempts to change the status, demographic map or the political nature of the Crimea." 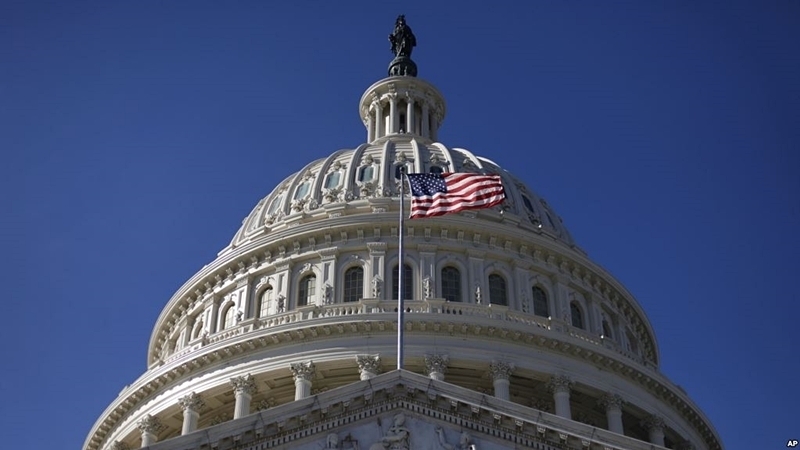 Senators called on the US government to continue applying measures, in particular, sanctions against Russia under the "Law on Countering America's opponents because of sanctions." The Ukrainian embassy in the United States further noted that the US foreign policy is to never recognize the illegal annexation of Crimea by Russia. QHA reported that the White House spokeswoman Sarah Sanders said that the US will not cancel sanctions against Russia for the occupation of the Crimea until the peninsula is returned to Ukraine. She stressed that the US does not recognize the annexation of the Crimea.